Kevin Hoole is a skilled attorney and thinker. 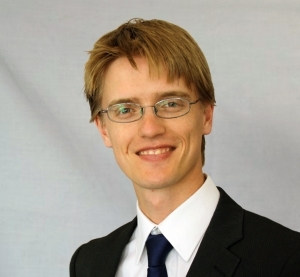 He strives to ensure the most efficient and painless resolution to any legal issue brought before him, and believes that alternative dispute resolution procedures are vital in the South African legal context. In his free time, Kevin is deeply interested in video and board games, writing, art, cooking, hiking, philosophy and the ocean. Coming from a broad educational background in film, management and law, Kevin has a breadth of knowledge vital to the legal professional. His understanding of the needs of both businesses and the people within them helps him to structure legal solutions that are effective, mutually beneficial and appropriate. Kevin is interested in intellectual property law, particularly video games (including esports), copyright and trademarks. At University, Kevin focused heavily on the law’s relationship with human creativity, and his final-year research paper examined South Africa’s response to the fair use and parody of copyrighted material. He is a firm supporter of Creative Commons and its founder, Lawrence Lessig. Kevin also has a keen interest in Social Media Law. Kevin specialises in creative problem solving, finding unique and efficient ways of catering to your needs. He has experience in both information technology contracts and intellectual property law. Kevin also writes well, with care, clarity and purpose, and makes the law easy to access on any level. He loves presenting on various legal topics and engages discussion easily. He has a passion for education, and strives to teach as much as he learns.